It's been really fun these past few days as we have most of storm debris picked up and we are back to working on a number of different course improvement projects. 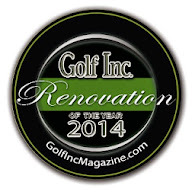 The guys did an excellent job with the reclamation of the black tee on #2. As always, we needed more material than previously anticipated to get it leveled out but today it is just that............................dead level. 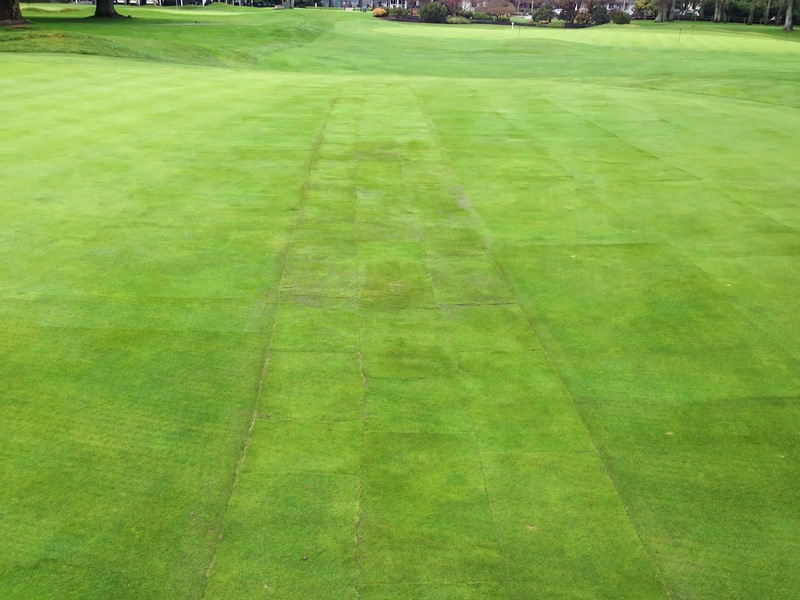 The sod came from the driving range and the 13th green complex. It looks really good considering it's January. Once spring hits, this should fill in rapidly and look like it's always been this way. Here's a picture from the very back and yes, it is a tight driving hole. 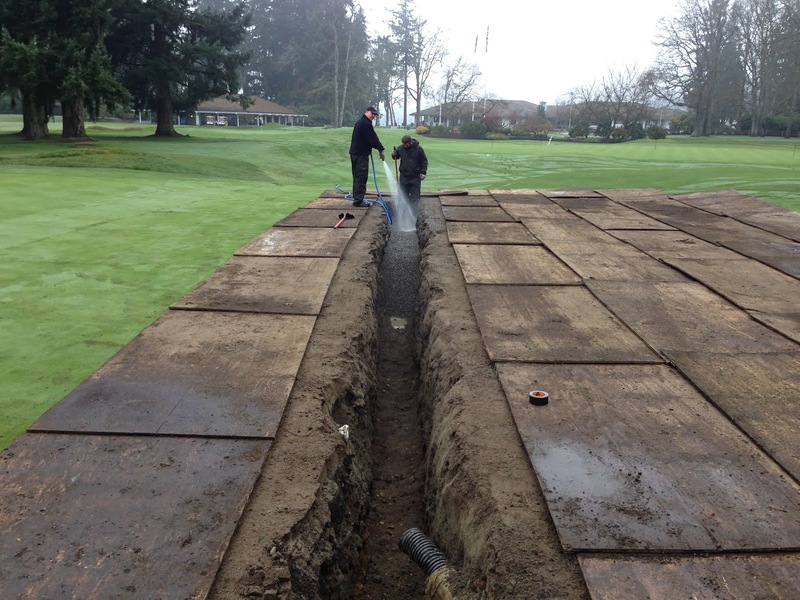 The back of 9 green has had drainage issues for as long as I can remember and I have always wanted to do something about it. 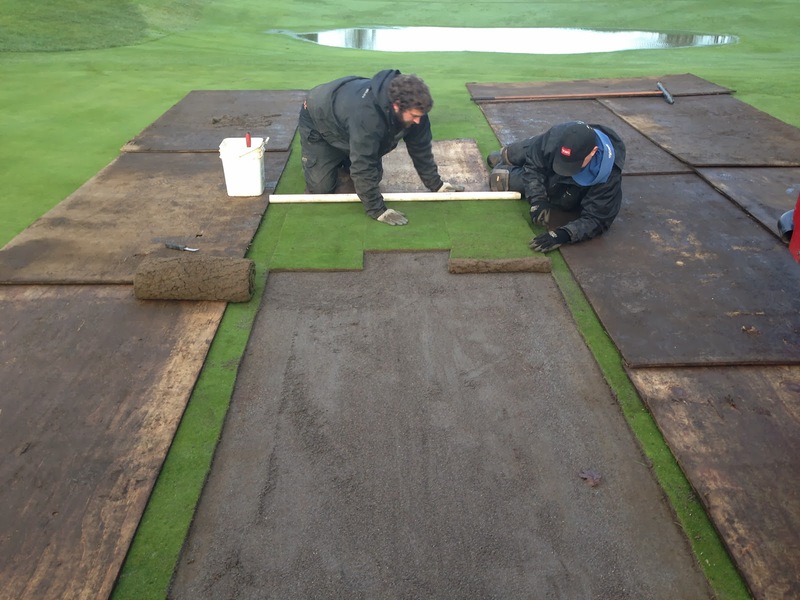 The problem is trying to do any subsurface work on a putting green means disturbing that beautiful smooth surface which took many years to develop. Well this week the conditions were just too nice to resist. 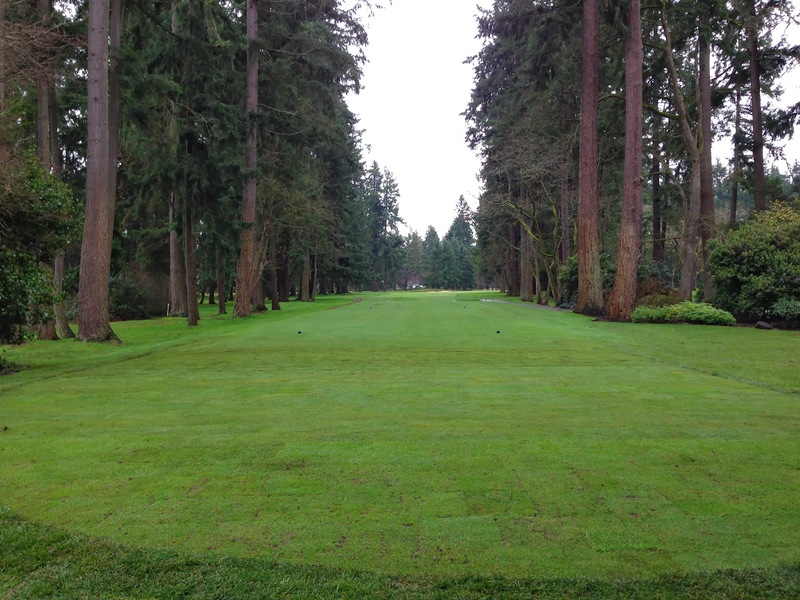 We've had a record dry winter meaning the green was very firm for this time of year. The ground was not frozen and there wasn't even frost in the forecast so getting out on the turf was going to be easy. We had the opportunity to start on a Monday and that's important to me because I didn't want to leave a project open during the weekend. I figured this project would take several days so it's nice to have a whole week at your disposal before the weekend busy period. Aerification is just weeks away. This means you don't have to put up with the unevenness of the area for very long. Anyway, the timing was perfect so we cut into the green this week in order to make that area firmer and more consistent with the rest of the greens. We excavated 4 feet deep in order to find that beautiful free draining gravel layer. 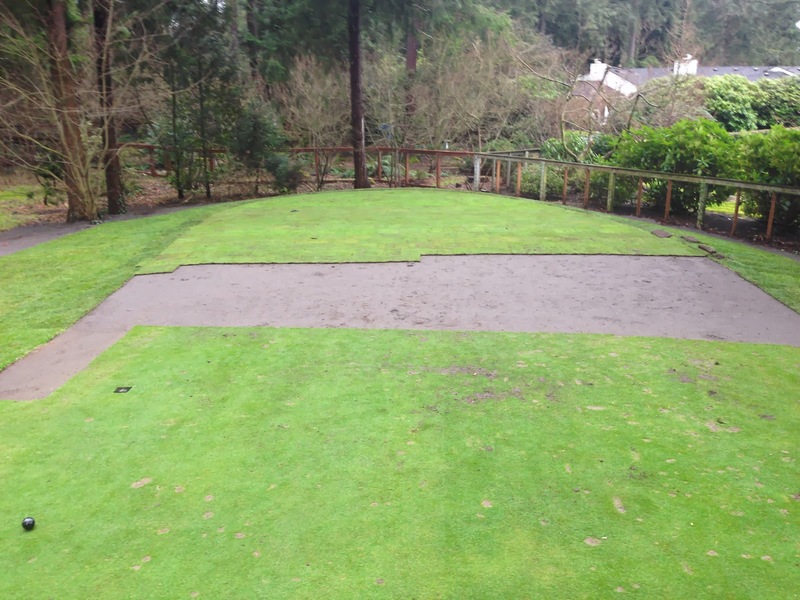 As we backfilled the trench, we started with just 3/8" pea gravel and flooded it throughout the procedure to ensure the fill would be adequately compacted. 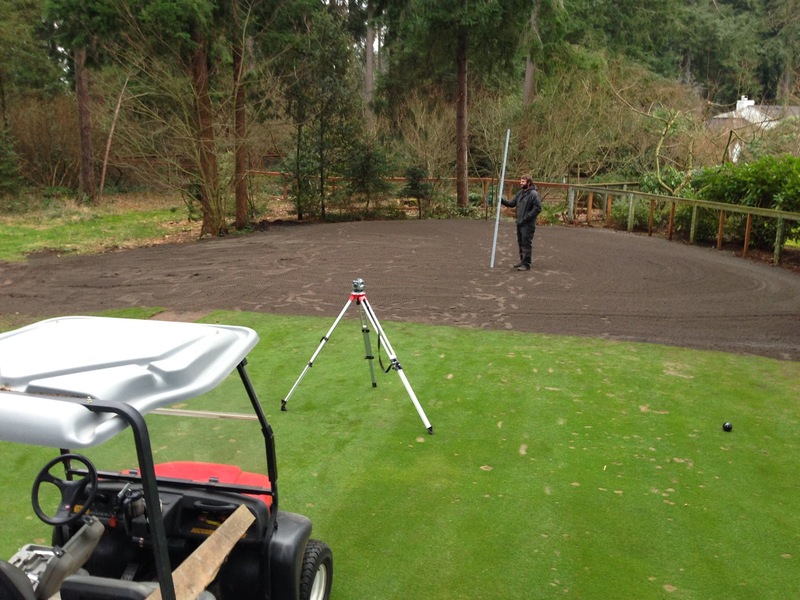 Next we backfilled the top 12" of the trench with a 80X20 sand/sphagnum blend. That we also flooded with a gazillion gallons. 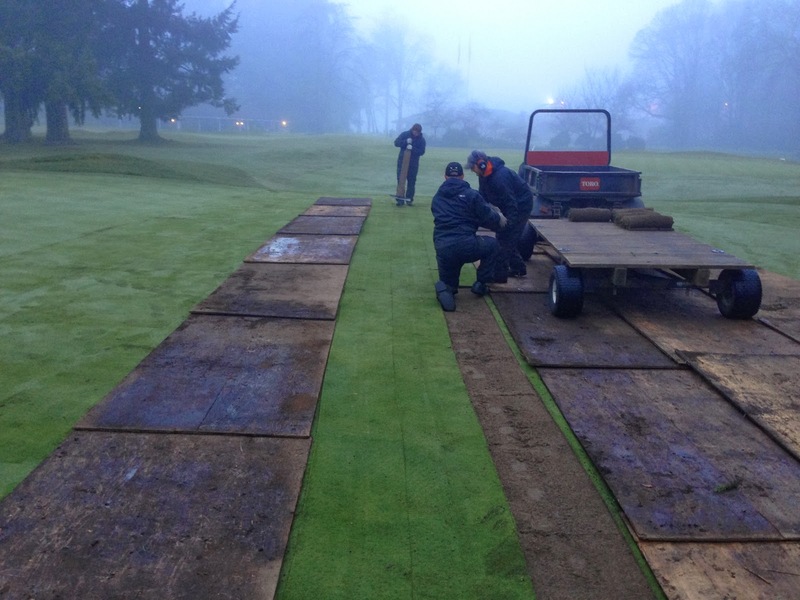 Thursday, we started putting the green back together. Sodding putting green sod is tough. It just never looks smooth enough but at some point you just gotta say this is good and we will get it smooth later with topdressing and aeration. I love this picture because you can see the puddle in the background meaning it rained pretty good the night before. Now look at the trench area. Dry as a bone. This drain will definitely make a huge difference. So here is how it looked today and it really is good work. Again the staff did such a nice job. 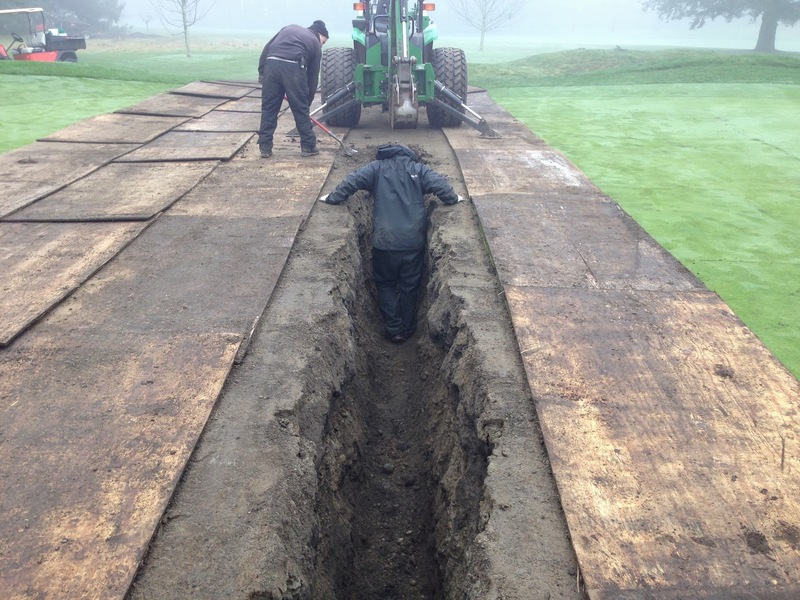 I'm so excited to finally do something about the wet conditions on the back of 9. By the way, because of the sod work on the back of the green, we will leave the pin on the front half of the green until after spring aeration. Sorry for the inconvenience. Talk about excitement................How bout those Hawks? Everyone is fired up about the Seahawks going to the Superbowl and the members of the staff are no different. 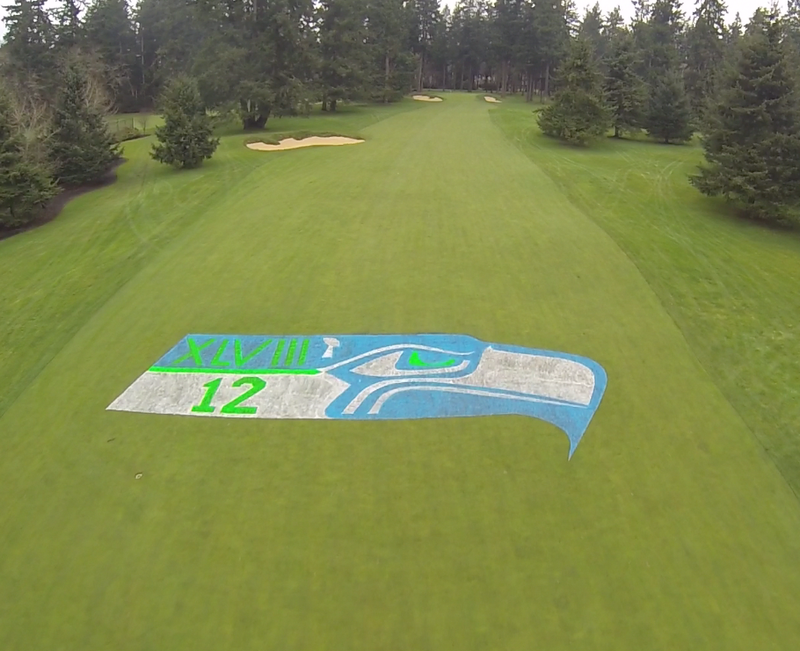 We are such big fans that we painted this logo on the first fairway.